This passage floored me when I read it that morning! I couldn’t believe I had ever missed this section before (during the other times I’ve read through Ezekiel). As I was saying yesterday, sin makes us dirty and filthy. It’s not a place you, or God, want to find yourself in. So God is saying to the people of Israel that He knows what they have gone through, but He wants to make them clean. He will take their sin from them, so that they may learn to live a clean life. This new life that He wants to give them is by taking away their selfish desires and giving them a heart to care for others. He then says that He will put His own spirit within them so they will know what it means to follow God. God makes this same offer to you and me. The difference between them and us is that we understand God fulfilling this promise through Jesus Christ. While he was on earth, Jesus taught us what it meant to follow God and live godly lives. It wasn’t all about the religiosity of the Pharisees (and even the same as many Christians today), instead it was about loving God and loving one another. To love God means to help others and love them. John writes this, “But whoever has the world’s goods, and sees his brother in need and closes his heart against him, how does the love of God abide in him?” (1 John 3:17, NASB). So knowing the love of God, compels us to love and care for others. This is the problem that the ancient Israelites were facing. They knew God, but they cared more about the rules then what it meant to be the Children of God. The Spirit of God lives within us. This means God lives within us. He is not some bearded man in the clouds watching the world from his throne. He lives within you and I, by our acceptance of Christ’s saving death. The Cross not only saved us from our sins, but allowed us to have the closest relationship with God no one before him was able to have. We are able to know God in this way because of the Spirit. 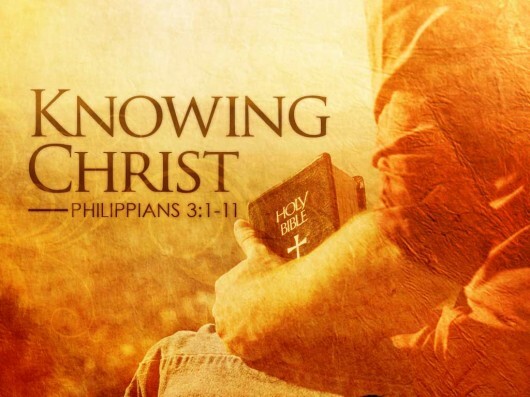 Paul writes, “For to us God revealed [the things of God] through the Spirit; for the Spirit searches all things, even the depth of God. For who among men knows the thoughts of a man except the spirit of the man which is in him? Even so the thoughts of God no one knows except the Spirit of God. Now we have received, not the spirit of the world, but the Spirit who is from God, so that we may know the things freely given to us by God, which things we also speak, not in words taught by humans wisdom, but in those taught by the Spirit, combining spiritual thoughts with spiritual words.” (1 Corinthians 2:10-13, NASB). 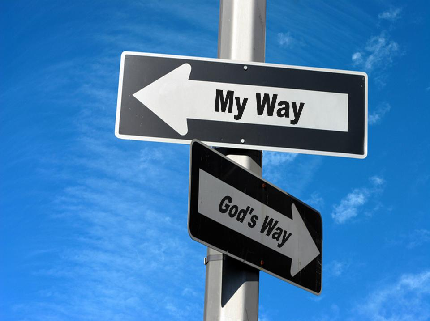 This knowledge of God helps us to see and know what it means to follow him! I decided that it is time to do another Bible study. However, this one will be quick. Over the next three days I will cover the three epistles of John. So grab your Bible, and start reading. Today we are reading 1 John. In this letter John discusses two major themes. First, he combats a heresy that has arisen that says Jesus never came in bodily form. The second is to love and care for one another. The heresy that John writes against is teaching that Jesus never came to earth, the apostles never saw him, spent time with him, or touched him. Basically, that it was all a spiritual experience. This is obviously counter to the entire gospel message! John writes, “And Jesus Christ was revealed as God’s Son by his baptism in water and by shedding his blood on the cross — not by water only, but by water and blood. And the Spirit, who is truth confirms it with his testimony. 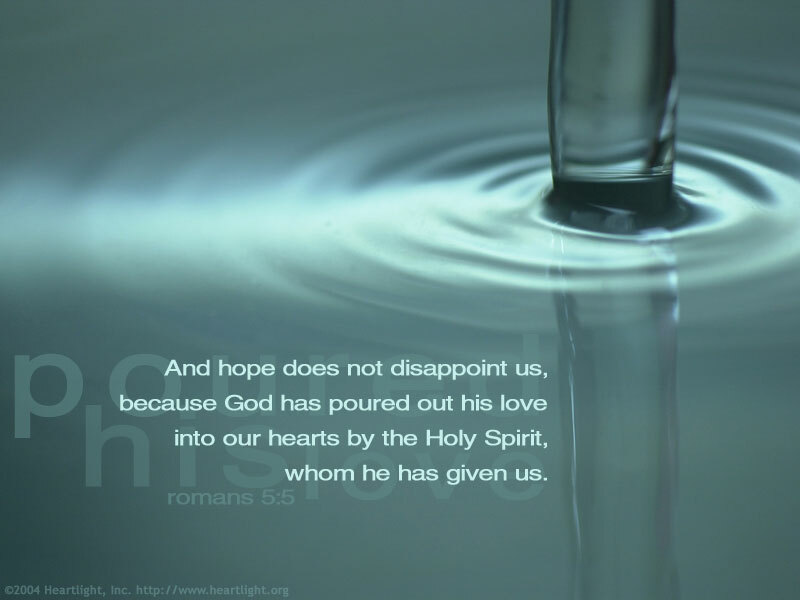 So we have these three witnesses — the Spirit, the water, and the blood — all three agree.” (5:6-8 NLT). John is showing that Jesus was God’s Son, as proof from his baptism (Matthew 3:17, Mark 1:11, Luke 3:22). He is also showing that the Spirit came because of Jesus’ promise (Acts 2). And also showing that Jesus had a fleshly body, since he was crucified on a cross and his death is our salvation. To me however, the biggest point in John’s first letter is that the defining attribute of a Christ follower is love. He says, “Dear friends, I am not writing a new commandment for you; rather it is an old one you have had from the very beginning. This old commandment — to love one another — is the same message you heard before.” (2:7 NLT). John is referring to the message that Jesus shared all throughout the his ministry, and most likely the same message all the apostle took as they started new churches. “Dear children, let’s not merely say that we love each other; let us show the truth by our actions.” (3:18 NLT). This goes along with what James writes in his letter, “What use is it, my brethren, if someone says he has faith but he has no works? Can that faith save him? If a brother or sister is without clothing and in need of daily food, and one of you says to them ‘Go in peace, be warmed and be filled,’ and yet you do not give them what is necessary for their body, what use is that? Even so faith, if it has no works, is dead…” (James 2:14-17 NASB). It seems counter to Paul’s argument that works cannot save you (pretty much most of Paul’s letter to the Romans). The difference here is that Paul is saying that you can’t do enough things to earn your salvation. James and John are both saying that if we have faith, we can’t help but do good deeds for the glory of God. As Christians, we must love one another. “If we love our Christian brothers and sisters, it proves that we have passed from death to life. But a person who has no love is still dead.” (3:14 NLT). If we cross from sin into eternal life, it is because we have the Spirit inside of us, and that Spirit can’t help but love. So if you are still in sin, you cannot love the way Jesus, and the Christian lifestyle demands. However, I feel I should mention that this doesn’t mean we have to like everyone. There are people, even in my church, that I cannot stand. I still love them, but the moment that turns to hate, we’ve got a problem. So love others. Christ loved everyone. God loves everyone. The Spirit compels us to love. This is the way it is for us. The most basic thing we can do on our Christian journey’s is to love others, unconditionally. Yes, people sin and that wrong. 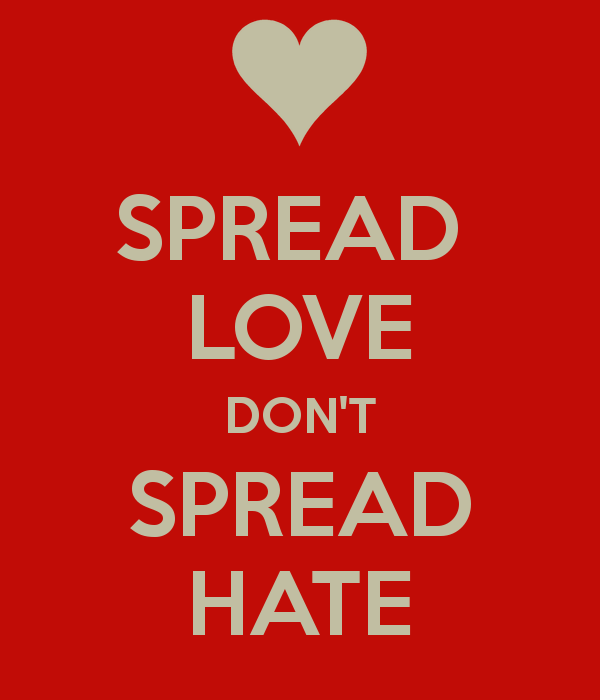 It’s ok to hate what they do, especially if it is a sin (we’re actually called to hate what evil and sin [Psalm 97:10]), but we can still love the person. Jesus showed his love to sinners and outcasts all throughout his ministry. So think about the words you say, and the things you do. Be certain that you are showing love to all people, especially fellow Christians.